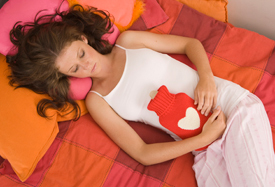 Estimates suggest that up to 90% of women suffer from some form of premenstrual syndrome (PMS) with 10 -20% experiencing severe or disabling symptoms. If youre resolved not to give in to menstrual or premenstrual discomfort, and you want a natural solution that avoids drugs, consider chiropractic. Your nervous system controls and regulates every cell, tissue, organ and system of your body. The spine, especially in the lower back, can impair nerves that direct and monitor the reproductive and hormonal systems. Women with undetected subluxations can suffer from a wide variety of female health problems including pelvic pain, PMS, incontinence, sexual dysfunctions and even infertility. Three types of effects can result when proper nervous system regulation of the reproductive system is disturbed from the abnormal motion or position of spinal bones. Over activity  such as heavy bleeding or severe cramping. Under activity  including missed periods or infertility. Distorted activity  cells that normally line the uterus, implant elsewhere causing bleeding, pain and reduced fertility. While chiropractic care isnt a treatment for PMS (or any other condition), many women with spinal distortions often see an improvement in their reproductive health while under chiropractic care. Restoring a more normally functioning nervous system helps the body work the way its supposed to. If you, or someone you love, is put out of commission a couple of days every month, encourage her to visit a chiropractor for a thorough examination. Find out if theres nerve interference in the lower back that could be the culprit. And then follow your chiropractor’s suggestions for optimal results.